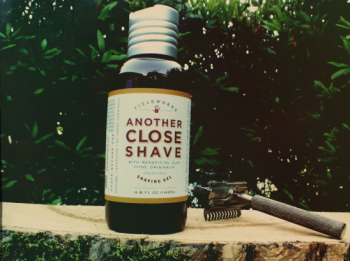 Fieldworks Supply Company is a Portland, Oregon-based maker of hand-made shave and grooming products for men. They specifically focus on making their products effective by only sticking with all-natural ingredients. 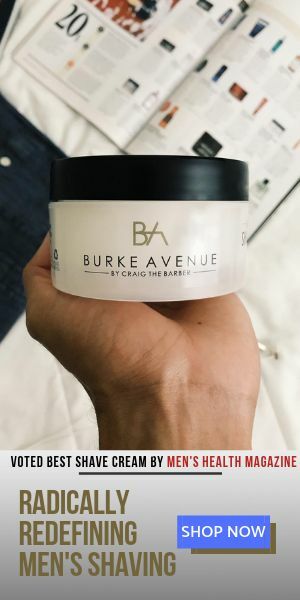 Their key ingredient in all of their products is Bentonite clay, which is is finely-weathered volcanic ash that has the capability of removing toxins and impurities from the skin, while maintaining the balance of the skin’s natural oils intact. Their shaving gel- Another Close Shave, is the one I tried first. It has a great list of ingredients- Aloe, Shea Butter, Saponified oils of Coconut, Olive and Sunflower to name a few, that are designed to care for the skin while shaving. For a gel it lathered surprising well (used hands), and the shave was smooth and nick free. The overall performance was a smooth shave but unfortunately it lacked enough protection on my skin to avoid razor burn. Priced under $8 for almost 5oz., and a little goes a long way!